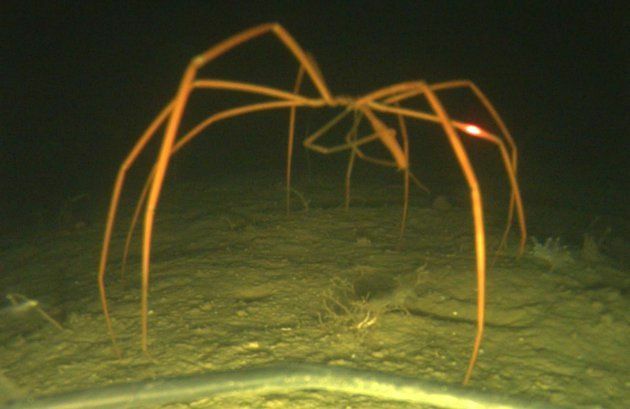 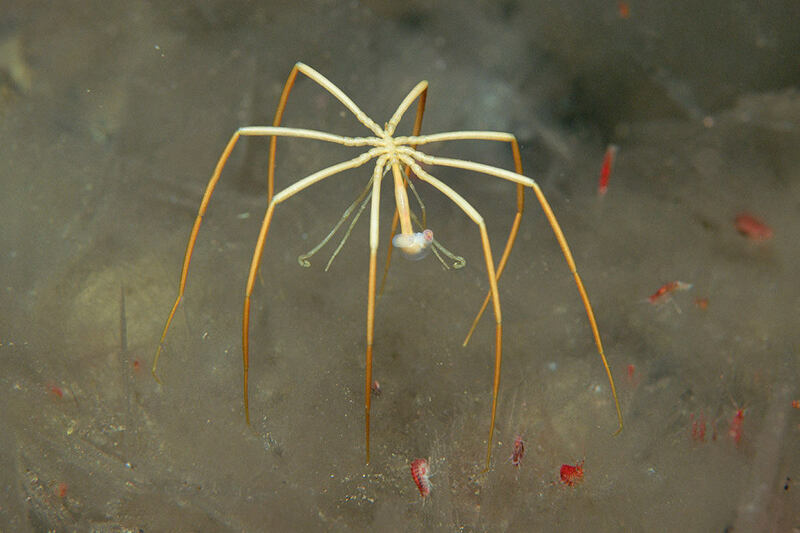 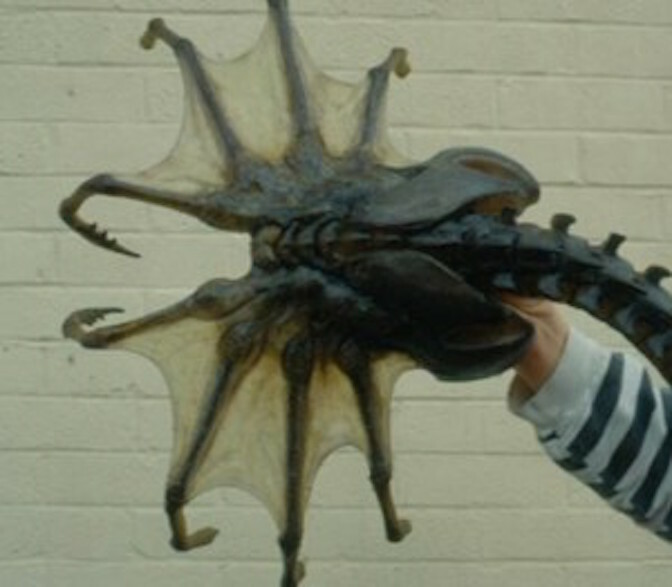 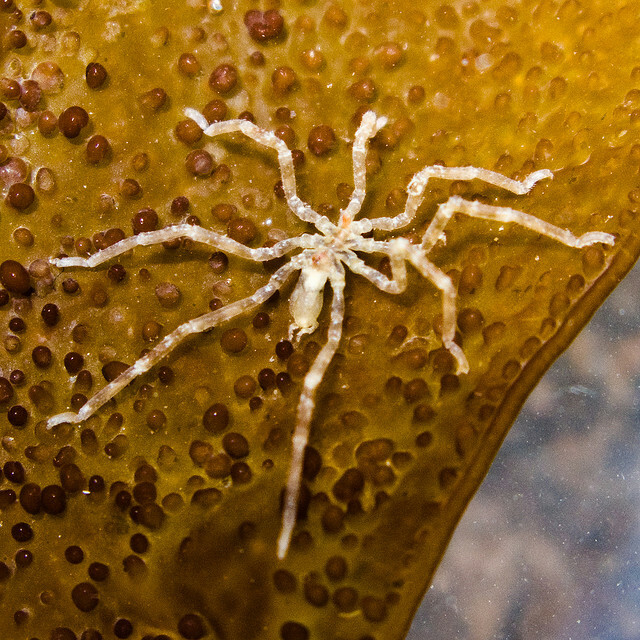 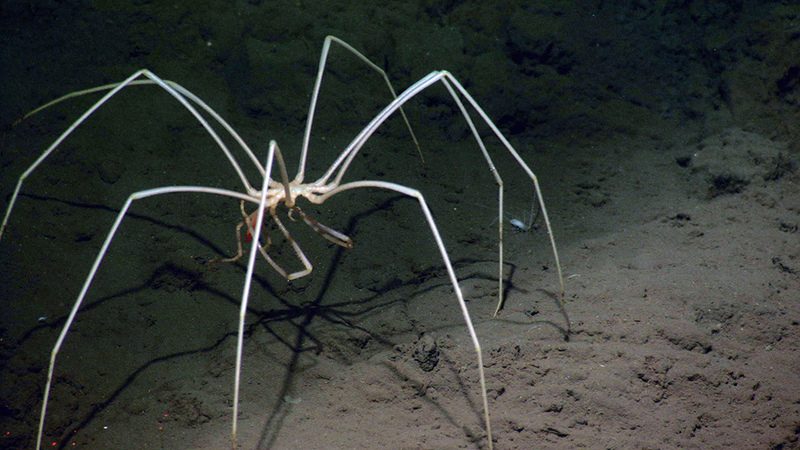 The morphology of the sea spider creates an extremely well suited surface-area to volume ratio for any respiration to occur through direct diffusion. 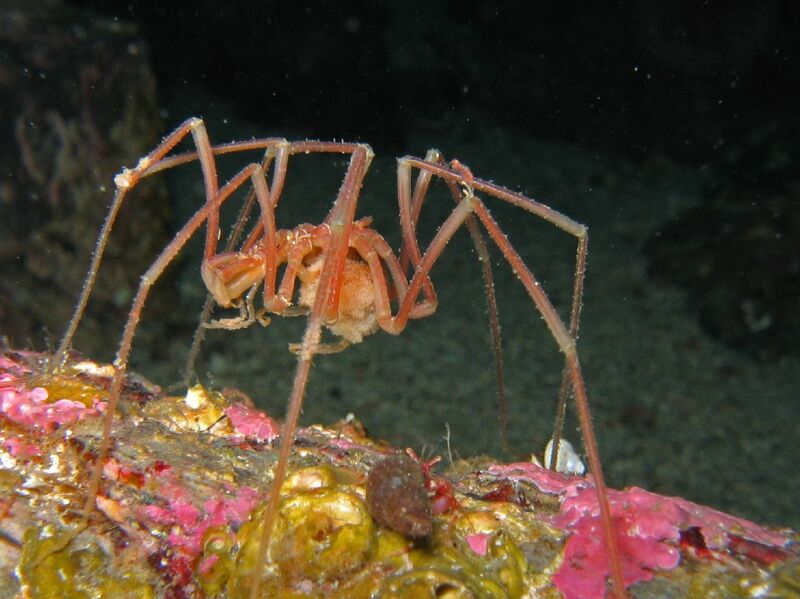 Oxygen is absorbed by the legs and is transported via the hemolymph to the rest of the body. 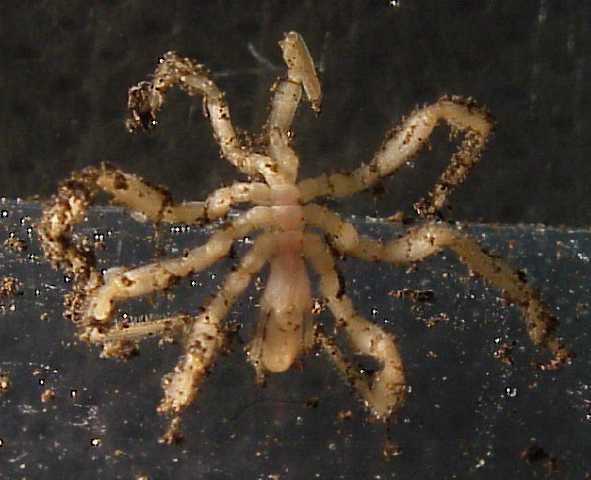 The most recent research seems to indicate that waste leaves the body through the digestive tract or is lost during a moult. 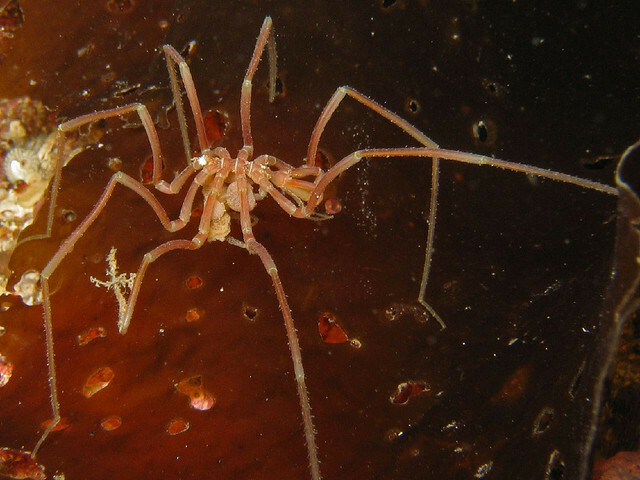 The small, long, thin pycnogonid heart beats vigorously at 90 to 180 beats per minute, creating substantial blood pressure. 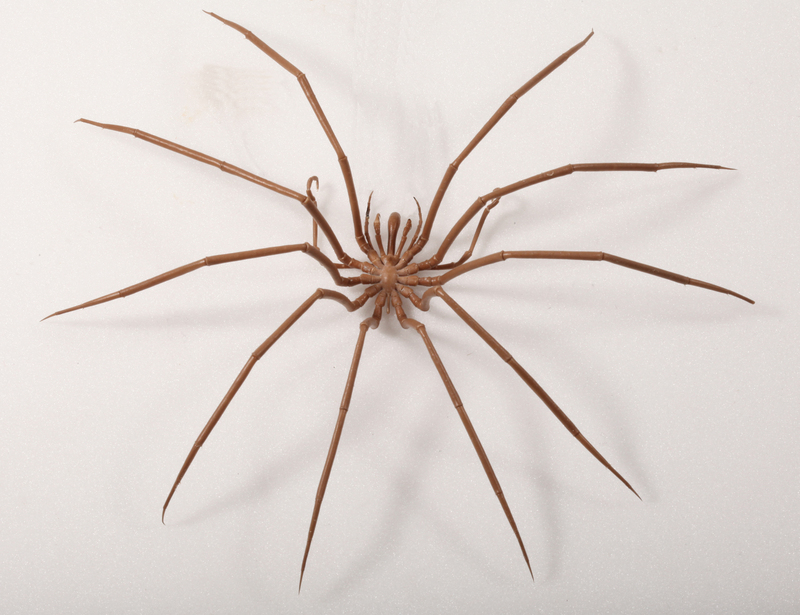 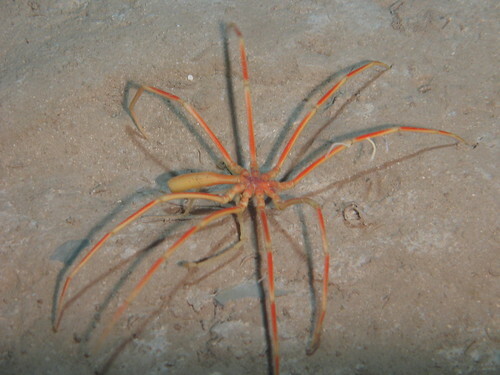 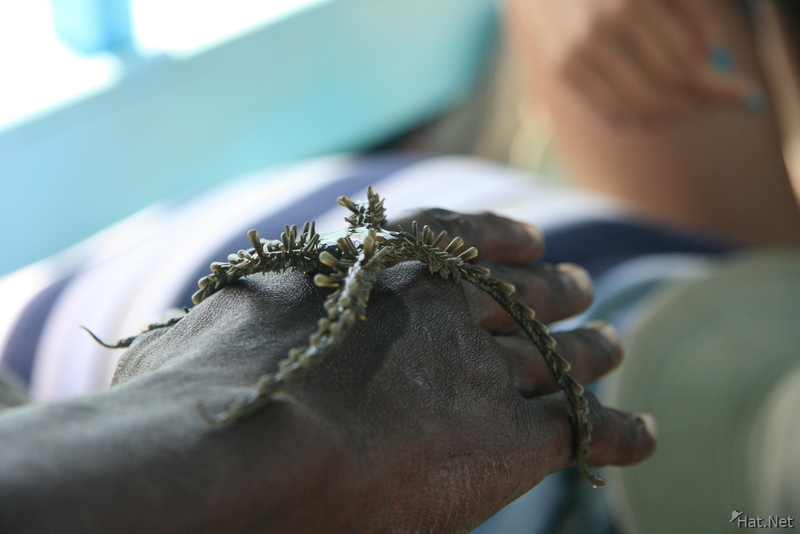 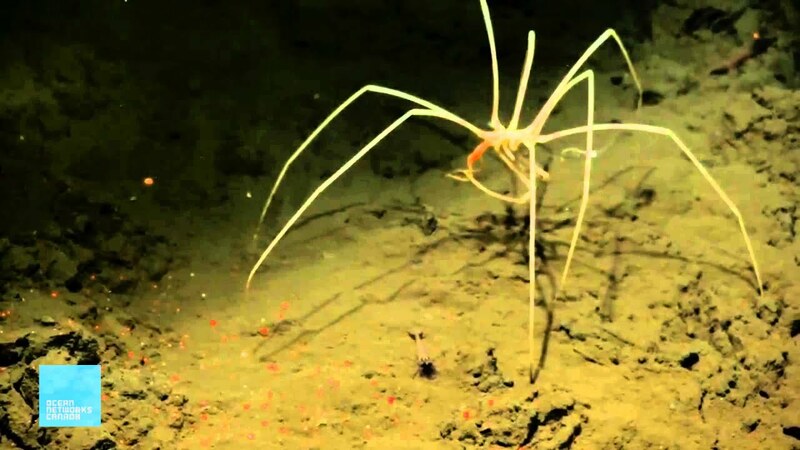 The beating of the sea spider heart drives circulation in the trunk and in the part of the legs closest to the trunk, but is not important for the circulation in the rest of the legs. 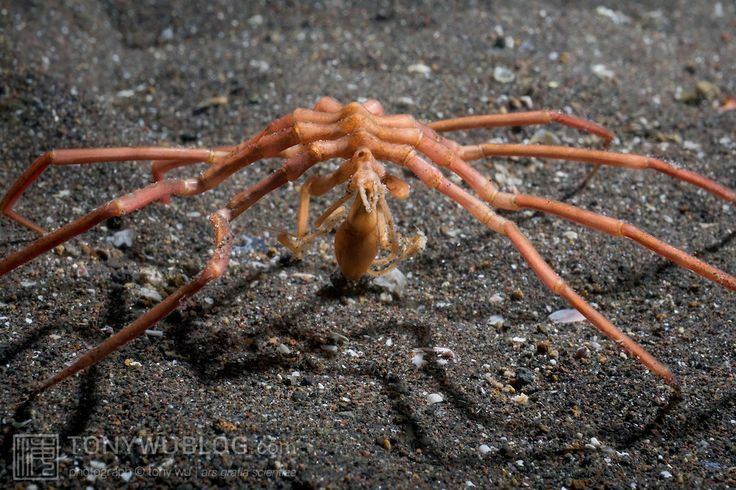 Hemolymph circulation in the legs is mostly driven by the peristaltic movement in the part of the gut that extends into every leg. 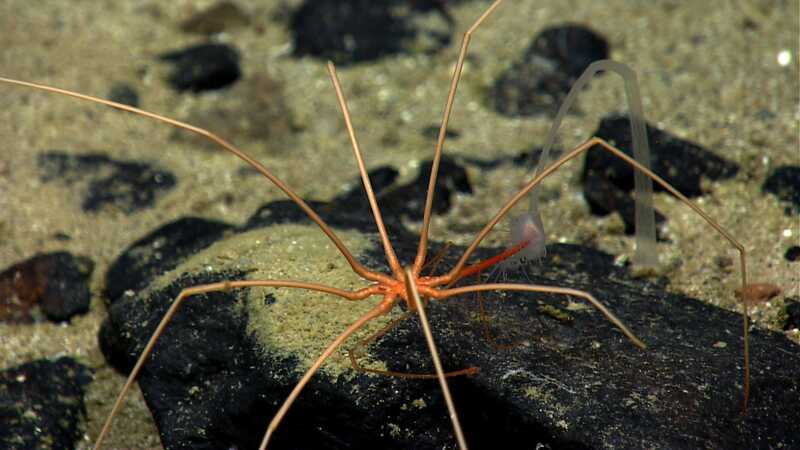 These creatures possess an open circulatory system as well as a nervous system consisting of a brain which is connected to two ventral nerve cords, which in turn connect to specific nerves.